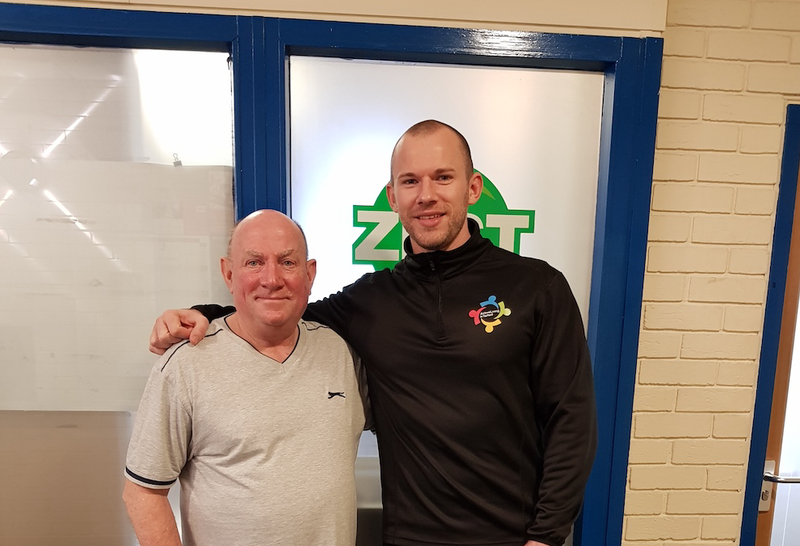 Anthony, 67, who is married and lives in Sale, actively chased a Trafford Leisure Physical Activity Referral from his local GP following a second knee replacement operation in December last year. Anthony had learnt about the referral scheme, through a friend on his wife’s and felt it would be good for his recovery following the four hour procedure. Anthony’s doctor referred him to Active Living Manager, Joshua Matthews, at Trafford Leisure’s Sale Leisure Centre. Joshua designed a bespoke eight-week programme, which focused on restoring Anthony’s strength. His knee replacement surgery meant the exercises had to be low impact, and were designed to steadily build his muscle strength, focusing on resistance exercises to target his quads, hamstrings and calves. Joshua also introduced Anthony to a number of classes, including simple circuits, body combat and walking football. Anthony, who retired in 2007 from his job at Trafford Park’s Kellogg’s factory says: “I really enjoy taking part in the classes. I worked in a team at Kellogg’s and since retirement I’ve missed the camaraderie of being in a group and working together with a shared goal. The classes really help with my motivation. Walking football is fantastic.